The next General Meeting of ESUG will be held in Karlovac on 24 April 2019. Our meeting, in beautiful springtime Croatia, will be central to a programme being arranged during 23-25 April with SUME, the group on Sustainable Use and Management of Ecosystems in IUCN's Commission on Ecosystem Management. Please access the announcement and see the Full Programme. There is also important information on logistics, which includes material on visas, reaching Karlovac (by car & bus), the Aquatika meeting venue, accommodation and eating out, health, weather, time zones and currency. If you aim to attend, please complete a registration. Thanks to Dr Viktor Šegrt for arranging the events, which will launch a network for global with local communication on conservation through sustainable use, for which the content is now available in draft prior to translation. While demonstrating this multilingual networking, the meetings will showcase the existing Perdixnet project to diversify farmland, discuss proposals to assess and conserve aquatic ecosystems through angling, and consider a network for managing mammals by rural communities. Dr David Scallan had very kindly arranged for the 2015 ESUG General Meeting to be in the offices of the Federation of Associations for Hunting and Conservation of the EU, starting with a sandwich lunch for members at 13.00. Members were welcomed by Ludwig Willnegger, Secretary General of FACE, who noted that this would be the last of ESUG's four meetings at 82 Rue Frederick Pelletier, because FACE was due to move on 1 June to 205 rue Belliard. Full details of the meeting are in the draft Minutes, which you can download and follow links to all the documents associated with the meeting. 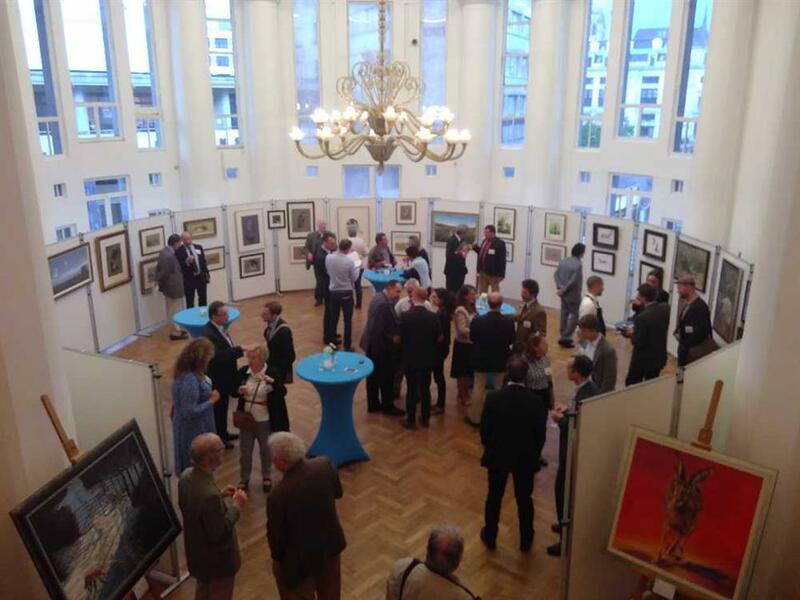 When the General Meeting ended at 17.00, members travelled to a reception to launch the Perdixnet Portal at the Bozar Gallery of Fine Arts in Brussels (see photograph). They were guests of the International Association for Falconry and Conservation of Birds of Prey, for which ESUG built the new portal in 18 languages. A General Meeting was held on 24 June 2015 at the Research Institute of Wildlife Ecology, University of Veterinary Medicine in Vienna. Thanks to the generosity of Professors Arnold and Ruf at the Institure, and local logistics by our member Prof Fritz Reimoser, this was the 3rd ESUSG meeting at FIWI, with the Hotel Schloss Wilhelminenberg conveniently just across Savoyenstrasse together with comfortable and inexpensive alternative lodging in a hostel. Members and observers came from Brazil, Bulgaria, the Czech Republic, Estonia, France, Hungary, Italy, Japan, Lithuania, New Zealand, Poland, Romania, the UK, Ukraine and of course Austria, including the Austrian government. 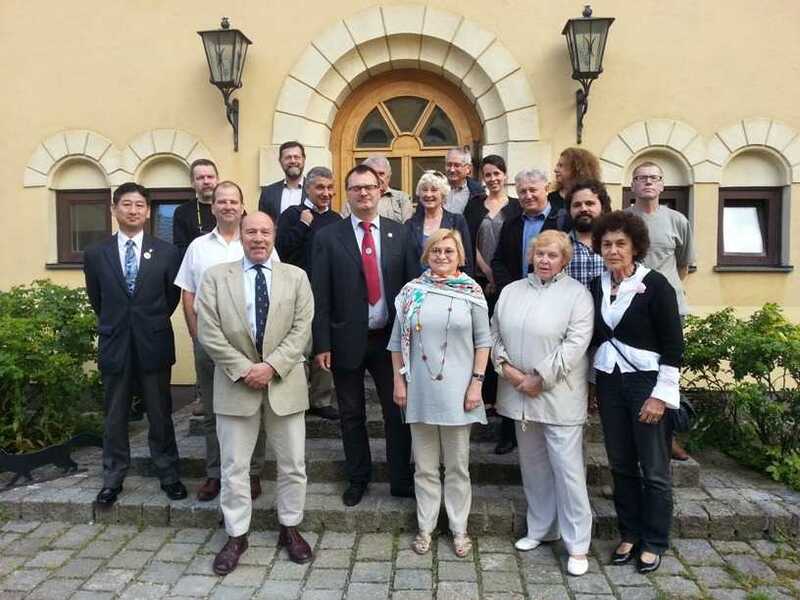 The highlights of ESUG’s meeting were its decision to confirm the name European Sustainable Use Group, as a proud reflection of its origin, and to open its doors to members from all over the world. This makes ESUG a suitable support organisation for both the Sustainable Use and Livelihoods (SULi) specialist group of IUCN, and the thematic group for Sustainable Use and Management of Ecosystems (SUME) which joined ESUG for an inaugural meeting on 23 June. ESUG also now recognises its exceptional network of Country Coordinators in the statutes, and agreed for Committee to work on a new Working Group structure and licensing for its portal operations. Minutes download on the right. (draft Minutes with document links).